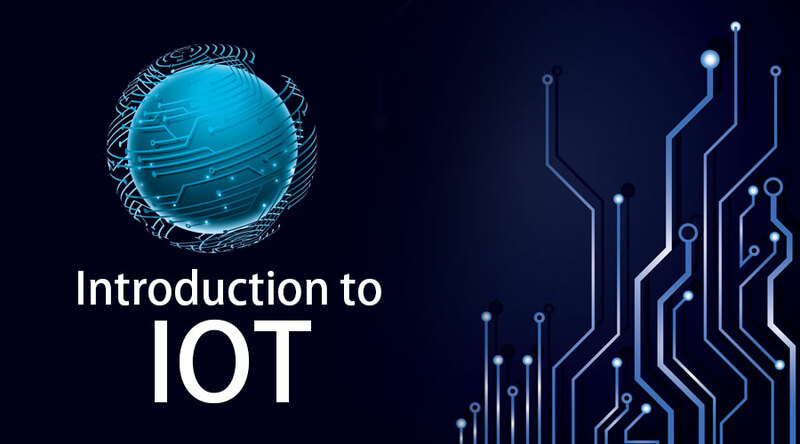 In this topic, we are going to study about the Introduction to IoT. Internet of things or IoT is a system of connected devices through the internet. It involves mechanical devices, sensors, home appliances, vehicles etc apart from desktop, mobile, and laptop. These devices are designed in such a way that they can share data with other devices over the internet. IoT basically provides a platform for devices to interact and collaborate with each other. The sensor is the layer which connects the IoT device to the outer environment or human being. As the name suggests, it senses the changes and sends data to the cloud for processing. These sensors continuously collect data from the environment and transmit the information to the next layer. Example – pressure sensor, temperature sensor, light intensity detectors. Gateway facilitates data flow management and protocol layer to transfer data from one device to another. It translates the network protocols for devices and provides encryption for the data flowing in the network. It’s like a layer between cloud and devices that filter away the cyber attack and illegal access to data. The data collected by sensors need to be sent to the cloud for analytics. Data need internet as a medium to transfer data from one device to another. Hence all the IoT devices need to be connected to the internet all the time. Networks like Wi-Fi, Bluetooth, WAN, satellite networks makes it easy to stay connected. Data can be sent to the cloud through these networks. IoT systems send massive data from devices and this data needs to be managed efficiently to generate meaningful output. To store this huge amount of data, the IOT cloud is used. It provides tools to collect, process and store data. Data is readily available and remotely accessible through the internet. It also provides a platform for analytics. IoT cloud is a sophisticated high-performance network of servers to perform high-speed processing of huge amount of data. Analytics is the process of converting raw data into some meaningful form. IoT analytics supports real-time analysis, which captures real-time changes and irregularities. The data is then converted into a format that is easy to understand by the end user. User or business can analyze the trends shown in reports, predict the market and plan ahead for a successful implementation of their ideas. the User interface is visible, tangible part of IOT systems. It is that part of the system which interacts with the end user. The information can be made available either in report format or in the form of some actions like trigger an alarm, a notification, etc. The user can also choose to perform some actions. It is important to create a user-friendly interface that can be used without much efforts and technical knowledge. Easier the user interface is the more successful the product is. After going through the Introduction to IoT, now we will learn about the characteristics. Characteristics are the reason behind the success of IoT. There are six main characteristics. Each characteristic encompasses a set of capabilities that make IoT a success. IOT systems are extensively liked in the market because of its intelligence. Combination of algorithms and computer enables the system to inform change in environment and take appropriate actions. For example – Systems are intelligent enough to sense a sudden spike in temperature and trigger an alarm for fire. Connectivity is the main characteristic of IOT as it enables the system to send data and stay connected to other devices. It provides system network accessibility and function collaboratively. IOT is all about interacting intelligently with the outer environment and human. Expressing enables this interactivity. Expressing allows us to show output into the real world and input from people and the environment. Sensitivity means aware of the changes around us. Sensor technologies provide us with the means to create the experience that reflects an awareness of changes in the physical world and people in it. It helps in expressing. This forms the input for the IOT system and provides a better understanding of the complex world around us. Everything in this world is driven by energy. IoT systems are created smart enough to synthesize energy from the outer environment and conserve it. It is also made energy efficient to work for a longer duration. Safety and security is the most important feature of any system. If the system is not secure to cyber attack and illegal intervention, nobody will use it. IoT systems deal with personal data that’s why it’s an obligation that all safety measure should be taken care in this system. All IoT systems are secure enough to deal with personal data. Smart homes are the revolution in the technical world. Switching on the lights as someone walks in, switching on AC and adjusting its temperature according to weather. Unlocks door for friends etc is some of the features of smart homes. These are the devices that have sensors embedded in it. One can wear them as watch or specs. It broadly covers fitness and health-related data. Smart cities are another application of IOT, which includes automated transport, energy management, environmental monitoring. Smart bins will alert municipal services that bins need to be emptied. Some other applications are auto-driven cars, industrial internet, iot in agriculture etc. As we have studied about the Introduction to IOT, Components, Characteristics, and Application of IOT and as everything has its own pros and cons. Below are some of IOT’s pros and cons. Accessing information about surrounding is easy using IOT. There is a risk of illegal access to data as it flows on the internet. It makes day to day life easier. IOT is very costly to implement. IOT is connecting people to work as well as home to increase productivity. IOT systems are very complex, any failure can affect everyone. It makes people lazy. IOT has many benefits but it all on the person using it. It can help us to improve our personal and professional life.